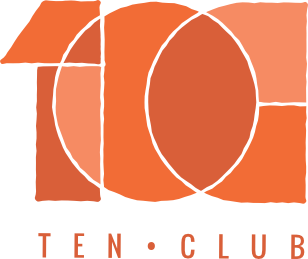 Ten Club was born from the remains of the Mother Love Bone Earth Affair - a fan organization started by Pearl Jam in 1990 as a way for the band to give back to their fans and create a community around Pearl Jam's music. Find out more below and sign up for your exclusive content from Pearl Jam. Including access to the exclusive Members-only section and posting privileges in the Forum. Ten Club holds the best tickets in the house for pre-sale drawings and rewards long-time fans for their dedication with seniority-based seating. Limited edition posters, vinyl, shirts and all kinds of goodies. Updates about releases, tours, contests, merchandise, activism and more. Monthly newsletter contests and the annual Deep Magazine contest. Coupons, sales, and exclusive offers in the Pearl Jam Shop. Digital copy of Deep Magazine. A new limited edition membership item. Your choice of a free MP3 or $10.00 off of any other digital format. Collectible magazine made by the band. The definition of the Ten Club membership renewal policy states a membership is considered delinquent on the exact date of expiration. All membership benefits will stop on the expiration date if the membership is not renewed. All memberships purchased after June 3rd 2012 will be required to keep a credit card on file for annual membership renewals. This card will be automatically charged exactly one year from your current expiration date for the membership level and price you had on your last date of expiration. An email notice will be sent to all members who are expiring but their credit card info will not process. Ten Club will make 3 attempts every 24 hours to process the credit card for the annual membership fee. If the last attempt fails, Ten Club will email the member notifying them that the membership could not be renewed and is therefore expired. For memberships that have been expired for more than 90 days after the expiration date: Delinquent accounts can be renewed by logging in to the expired account and purchasing a new membership. Your membership benefits will start up again on that date of payment. However, a new member number will automatically be assigned and all seniority will be lost. Members who wish to retrieve their original membership number that has been inactive for less than one year, may contact info@tenclub.net. Members who wish to retrieve their original membership number that has been inactive for less than one year, may contact us.